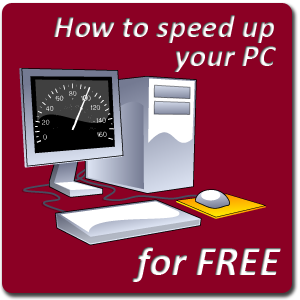 If you can relate, here are some ways to make your computer faster… for free. To many computer users, the best measure of speed is how long it takes for a PC to boot into a ready-to-use state. If you experience long load times after turning on the power to your PC, it could be because of the number of programs that your computer is trying to load at startup. Upon installation, many programs activate a default setting to reduce software boot times by setting the program to boot with your PC. The more software you have trying to boot in advance with your computer, the longer it will take your computer to boot. 1. 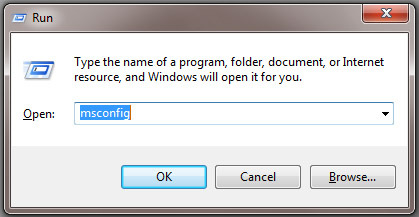 Press + R to open the Run dialog box (Alternatively, you can pull up the Start menu and type “Run” into search box to access this dialog box). 2. 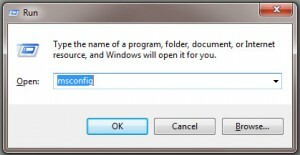 Type in “msconfig” and wait for the System Configuration window to display. Then, select the Startup tab at the top of the window. 3. Scroll through the list of startup program, and determine which programs you can stop from loading at startup. Think about how often you use each program to decide if starting it up with your computer is beneficial. Uncheck the boxes beside each program that you DO NOT wish to have start up with your PC. While the majority of these program can be unchecked without affecting your system, be sure to leave your antivirus protection enabled, so that your system is not prone to viruses immediately after booting up. You may also wish to check out a Windows program called Start up Delayer. Instead of completely disabling software from booting, it gives you the ability to delay the booting of certain programs so that everything is not trying to load at once. This can also help speed up computer boot times. Every program that you use on your PC has one or multiple entries in your Windows registry. 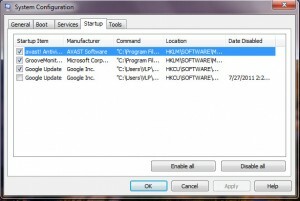 These entries help the programs operate and help tell Windows where important program files are located on your computer’s hard drive. The more programs you have installed and the more things you use your computer for, the more entries there will be in your registry. As you uninstall or discontinue use of software and other computer programs, many remnants are left behind in your Windows registry. These unused registry entries take up space that could otherwise be free for more important use. CCleaner – helps clean all areas of your computer including temporary Internet files, history, cookies, log files, as well as unused and old registry entries. Comodo System Cleaner – a file cleaner, disk registry cleaner, and privacy cleaner that can also help prevent accidental deletion of important files. Eusing Free Registry Cleaner – a basic free registry repair software that allows you to safely clean and repair registry problems with a few simple mouse clicks. In addition to performing certain computer maintenance tasks to speed up your computer, there are also some preventative measures that you can take to prevent your PC from becoming so slow in the first place. Use trustworthy, freely available software to combat and prevent spyware, adware, malware and viruses. To help a sick person you don’t just give him an energy drink and coffee to help him function, but you also must get rid of the things plaguing them. Preventing these PC ailments from plaguing your computer will undoubtedly help your PC run faster over the long haul. Try some of these free, easy-to-use PC maintenance & security programs to keep your PC in top shape.